Lydia Mountain Lodge & Log Cabins - "Tucked Away"
A Bit About "Tucked Away"
You’ll enjoy your stay here quite comfortably tucked away between the trees. 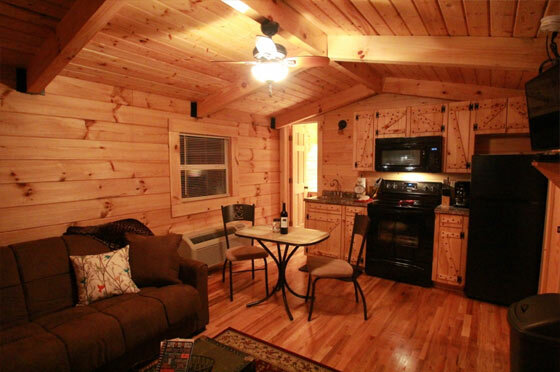 This sweet and cozy cabin has a charming combination of both indoor and outdoor living spaces. 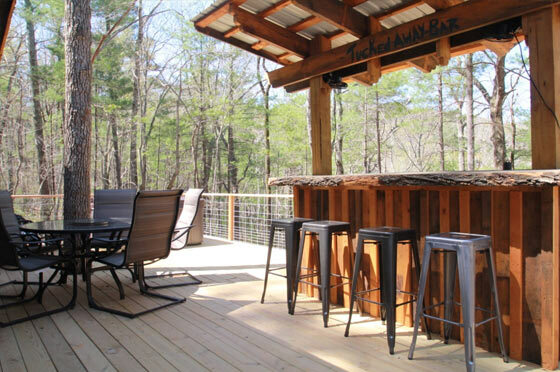 Right off of the comfortable screened-in porch, there’s an outdoor tiki bar where you can enjoy the crisp mountain air and a cool drink, all the while listening to the delightful trickling of the creek as it runs through the forest below. 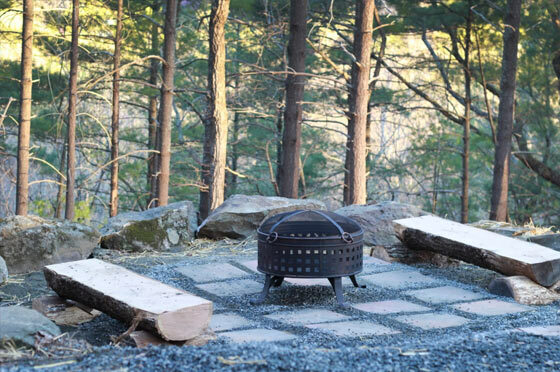 If the night gets cool, head down to the fire pit to warm your hands and your heart. 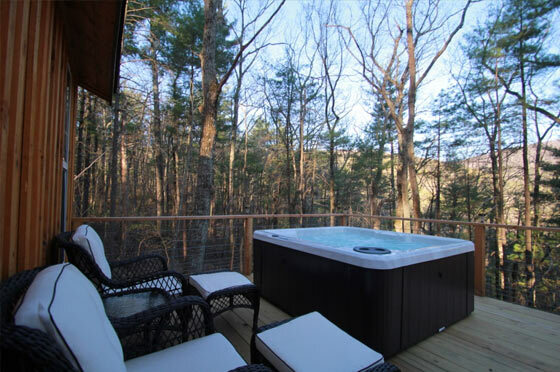 After an evening celebrating friendship and togetherness, relax in the hot tub and lean back to take in the canopy of stars above. 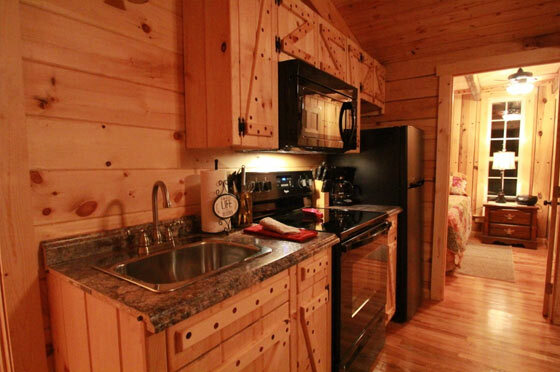 “Tucked Away” beautifully combines the coziness of cabin living with the comforts of home. 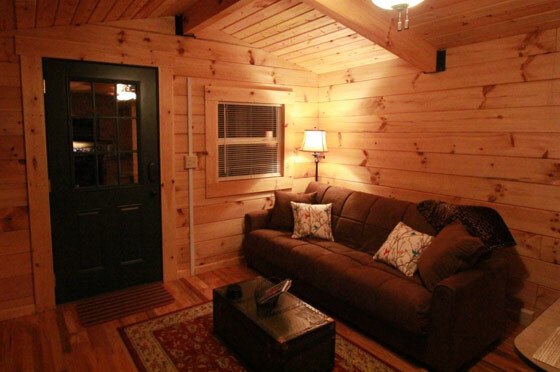 This cabin also features a queen bed and queen futon, a charcoal grill, a fully furnished kitchen, cable TV, and a gas fireplace (Fall 2016). "Here on our 10th wedding anniversary. 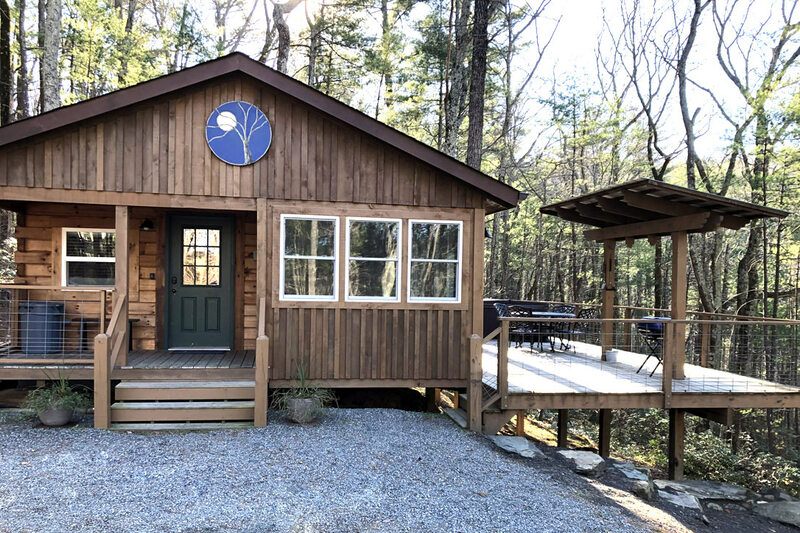 Love this cabin with its mountain view and babbling brook below. 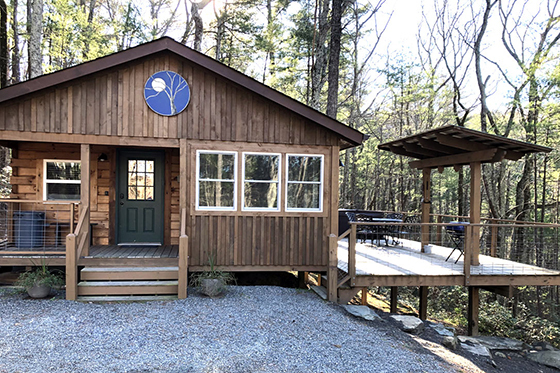 "We live locally, but really needed somewhere close but still get the feeling of getting away for our 16th anniversary. What an amazing place this is! I am absolutely stunned at the peacefulness and beauty of this "Tucked Away" paradise. This is exactly what we needed and we will be back!" 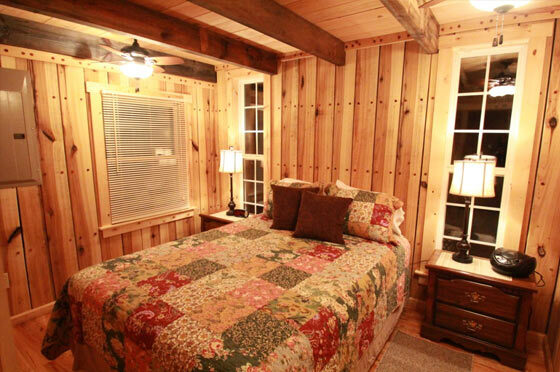 "This cabin is PERFECT! 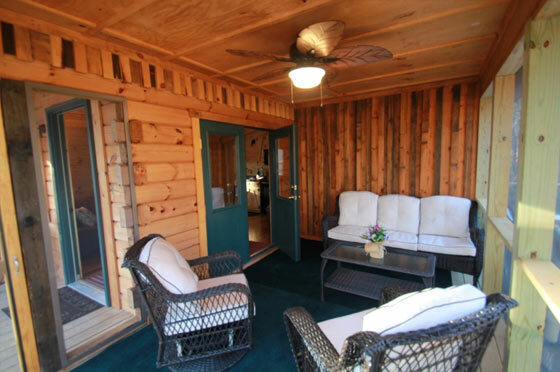 Very clean, brand new w/ hot tub. We're very happy and already making plans to come back!!! Thank you!!"